In Petra, we'll be staying for 2 nights at the 5-star Mövenpick Resort Petra, right at the entrance to the ancient city of Petra. The hotel offers a spa center with an outdoor swimming pool and steam bath. Nestled amongst amber-hued sands, rocky outcrops and endless blue skies, Mövenpick Resort Petra features 183 rooms and suites. They all offer free WiFi, complimentary minibar selection, white linens and large windows. 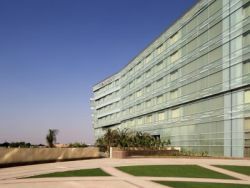 Each room has a work desk and is equipped with air conditioning and satellite TV. Guests can enjoy local specialties at the Mövenpick Petra Resort's two restaurants, and the hotel's rooftop garden terrace offers views of the mountains surrounding Petra. Guests can work out in the well-equipped fitness center or enjoy a cocktail in the hotel's stately lobby. The center of Wadi Musa is nearby and offers many restaurants and shops. 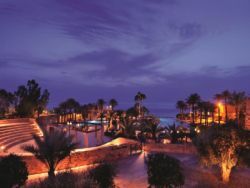 While at the Dead Sea, we'll be staying for 2 nights at the luxury Mövenpick Dead Sea Resort and Spa. 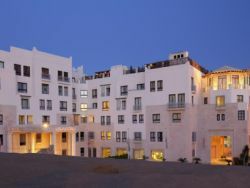 The hotel offers panoramic views of the Dead Sea and is an oasis of tranquility, set as a traditional village among lush gardens, with private beach access to the northern shore of the Dead Sea and several swimming pools including an infinity pool and a heated winter pool. ZARA, the Mövenpick’s on site spa, offers spa treatments in its modern facility with steam rooms, tropical scent showers and massages. The hotel's restaurants serve both all-day options from the menu and buffet dining, and free Wi-Fi is available in all areas. Each of the 346 luxuriously decorated rooms have a view of the sea, mountains or garden. Most rooms have a terrace or a balcony and feature air conditioning, satellite TV, complimentary WiFi, coffee and tea making facilities, 24-hour room service, in-room safe, and complimentary minibar.